Flu’s widespread across the U.S. It’s killed at least 37 children and thousands of adults, and this is either the worst season since 2015, or 2009, depending on how you measure it. But a bad flu season may be good news for vaccine makers. That may be because the same advice is coming out of everyone’s mouth. “Get your flu shot,” says Families Fighting Flu, an advocacy group. “We recommend that everyone get the flu shot to prevent the flu,” said flu expert Dr. Daniel Jernigan of the Centers for Disease control and Prevention. “Your best shot is the flu shot,” CDC says on its website. “There's still going to be several weeks of influenza and if you’re unvaccinated, we strongly recommend that you do get vaccinated,” said Dr. Anthony S. Fauci, who directs the National Institute of Allergy and Infectious Diseases. Public health officials have been struggling for decades to persuade Americans to get flu vaccines. It’s a hard sell. Americans in general do not like getting shots, the vaccines on the market provide only mediocre protection, and many Americans still incorrectly believe flu shots can give them the flu. Every year, the CDC says everyone 6 months old and older should get a flu vaccine — but every year, not even half of people do. In 2007, about 132 million doses were distributed. In 2017, more than 160 million doses were. Yet every year, many doses of vaccine go unused and get sent back to the makers. In 2010, for instance, 162 million doses were produced but only 90 million people got vaccinated. “We always have some return doses,” said Dr. Leonard Friedland, vice president for scientific affairs at GlaxoSmithKline Vaccines. "Millions of doses have been discarded by manufacturers, including Sanofi Pasteur, every year since the pandemic in 2009," vaccine maker Sanofi Pasteur said in a statement. "Health care providers annually return millions of doses they’ve purchased from manufacturers each year." This year may be different. While there is still a supply of vaccine across the country, the headlines about the epidemic mean more people are asking for vaccines. Flu comes every year, and every few seasons there is a bad one. Flu kills between 12,000 to 56,000 Americans every year, depending on how rough the season is, and it puts 140,000 to 710,000 people into the hospital. "If we had a vaccine that was a very potent universal flu vaccine we probably wouldn’t be talking about influenza right now." This year is shaping up to be on the severe end, and public health experts are taking advantage of the renewed interest. “I would bet that there is going to be a better uptake this year, based on the news,” said John Shiver, senior vice president for global research and development at Sanofi Pasteur. “Now all of a sudden everyone is, understandably, getting a bit exercised about how we are in the middle of flu season. They are starting to pay attention to the pediatric deaths that are associated with a bad season,” Fauci said. That focuses interest on vaccines. “When we get a season like this, it highlights the importance,” Friedland said. “There seems to be a resurgence of interest in developing a universal flu vaccine because we are paying a lot of attention to what happens when you don’t have a good flu vaccine,” Fauci said. A universal flu vaccine would protect people against multiple strains of flu, including mutant new strains, and would last for longer than a single flu season. “We are having a very serious season and if we had a vaccine that was a very potent universal flu vaccine we probably wouldn’t be talking about influenza right now,” Fauci added. Flu vaccines never provide 100 percent protection. Flu viruses mutate almost constantly, and several strains are circulating at any given time. The process used to make flu vaccines is clunky and old and the production process itself can mutate the virus that is the basis of the vaccine. “People are often more reluctant to take a vaccine if they hear it doesn’t work well,” Shiver said. Vaccine efficacy data for this season is not yet out, but CDC estimates the vaccines on the U.S. market right now only provide about 30 percent protection against the dominant strain, called H3N2. They are likely to work better against the other three common strains, and even 30 percent protection can translate to fewer deaths and hospitalizations, CDC says. 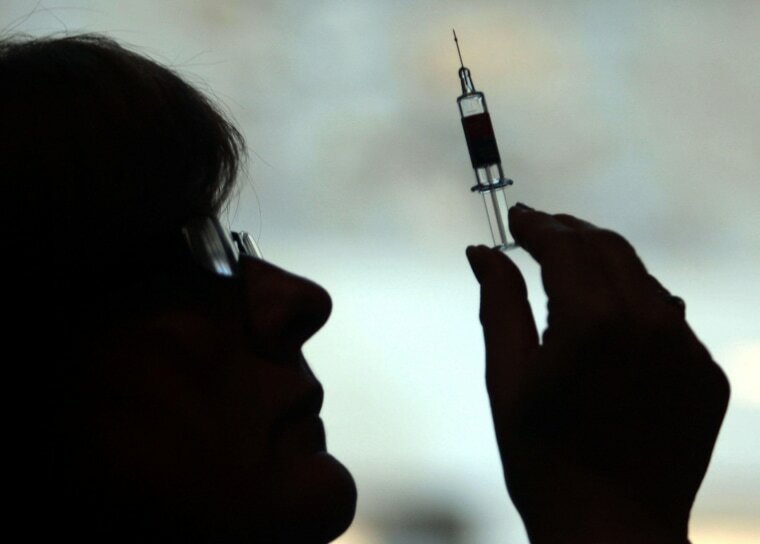 “Even in years when the vaccine is less effective against infections, it still quite effective in limiting severe disease and death,” Shiver said. Fauci has seen many a flu season and he’s not kidding himself that interest in flu vaccines will last long. “When the season ends in March or April and people start forgetting about influenza, I am going to still be intensively interested in developing a universal influenza vaccine,” he said. NIAID, one of the National Institutes of Health, both conducts and pays for research into better flu vaccines. NIH often gets the basic research done and then licenses the most promising approaches for new vaccines and treatments to companies for commercial development. “Not everyone is going to jump on the wagon when you haven’t solved the scientific issues. That’s why you need government investment in this and that is the reason why NIAID is involved in it,” Fauci said. A universal vaccine would mean people would have to be vaccinated less often, and a truly universal vaccine would protect people against pandemics of new influenza viruses, which break out regularly. It’s the 100th anniversary of the 1918 pandemic that killed between 50 million and 100 million people, and there were flu pandemics in 1957, 1968 and 2009. And no one has cracked the problem of vaccinating people against a mutation-prone virus like flu. Until that happens, the experts say, the U.S. is stuck with older vaccines and limited production.